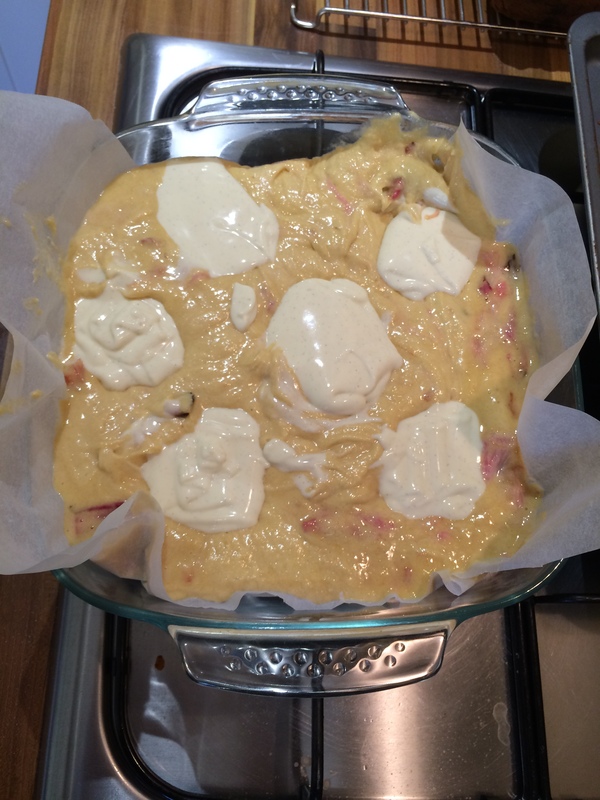 This weekend we saw the Waitrose video for Rhubarb and Custard traybake, link here. 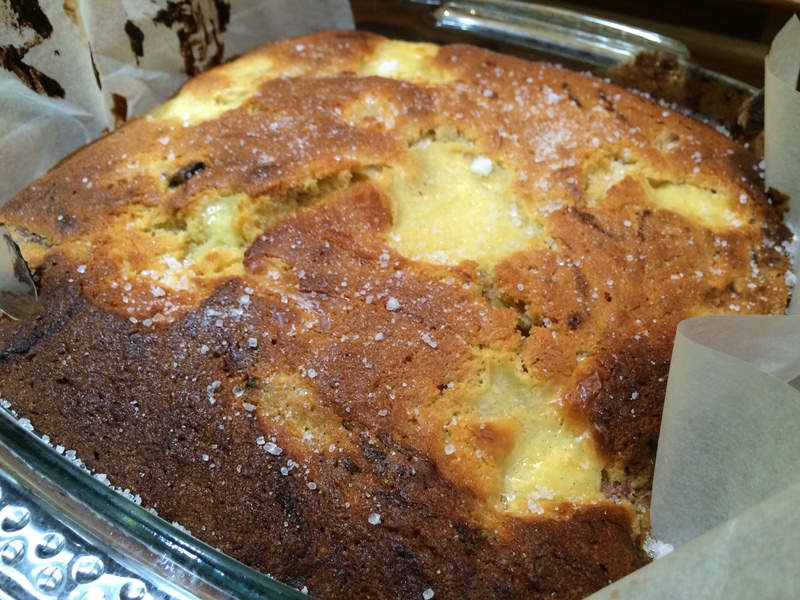 This looked so delicious we had to try it out ourselves and confirm the recipe really does work. Here’s the Waitrose recipe, which we followed apart from the sugar cubes – we found only one or two were required. Pre-heat the oven to 230°C, gas mark 8. Line a baking sheet with baking parchment. 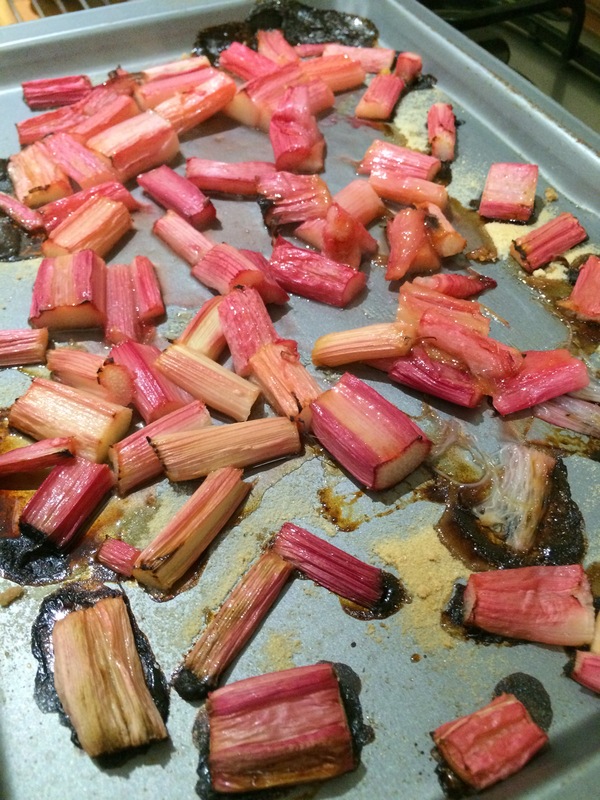 Pat the rhubarb dry on kitchen paper and spread out in a single layer on the baking sheet. Sprinkle with 25g of the caster sugar and bake for 20–25 minutes or until the rhubarb is lightly caramelised. Remove from the oven and leave to cool while preparing the cake. Reduce the oven temperature to 180°C, gas mark 4. Grease and line a 28 x 22cm shallow baking tin with baking parchment. Beat together the remaining sugar with the butter, eggs, flour, custard powder, ground almonds and 100g of the custard until pale and creamy. Fold through the rhubarb. Turn into the prepared tin and spread in an even layer. Press deep cavities into the mixture with the back of a dessert spoon and pour the remaining custard into the tin. 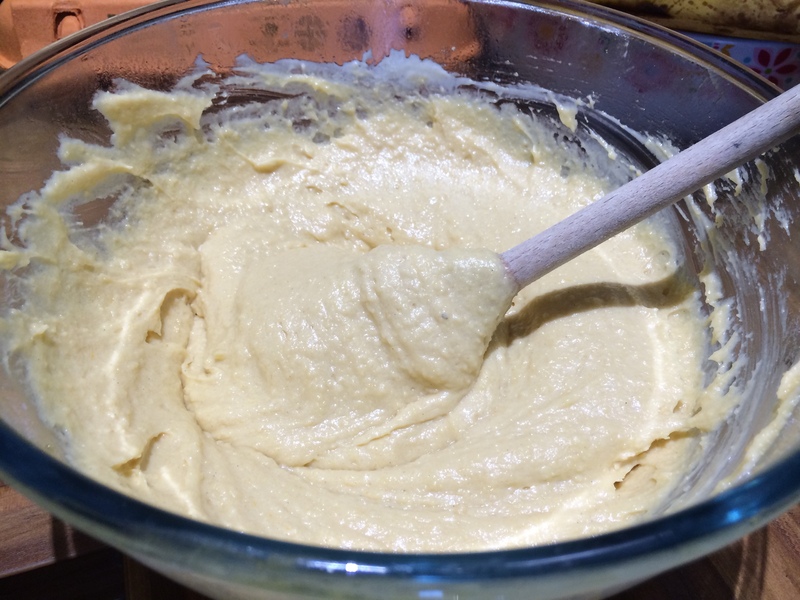 Bake for 45–50 minutes until risen and the sponge feels just firm to the touch but the custard is still quite wobbly in the centre. Scatter with the crushed sugar and leave to cool in the tin. Serve cut into 12 pieces. We really like the use of rhubarb, which is just coming into season. 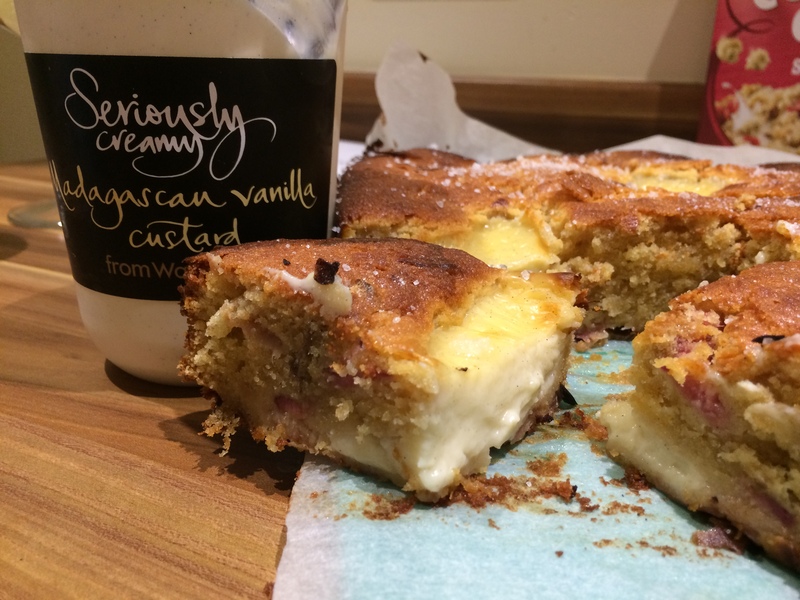 It’s tartness is tempered by the rich vanilla custard, creating a really moist and balanced cake.If you’re looking for something slightly different to bake for a weekend treat to impress friends, this is it.